Clem Sunter – Scenario Planner Keynote Speaker is a world renowned Professional Speaker, Scenario Planner and the author of many books. 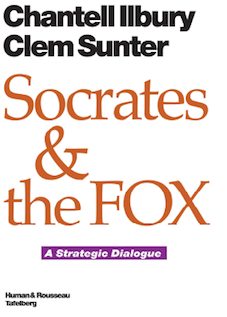 ‘The Mind of a Fox: Scenario Planning in Action’, ‘Socrates & the Fox: A Strategic Dialogue’, ‘Games Foxes Play: Planning for Extraordinary Times’, ‘The High Road: Where are we now?’, ‘AIDS: The Challenge for South Africa’ and ‘Pretoria Will Provide’ amongst others. Clem was born in Suffolk in 1944 and he was educated at Winchester College. In 1971, Clem Sunter – Scenario Planner Keynote Speaker moved to Lusaka in Zambia to work for the Anglo American Corporation (Central Africa) and in 1973, he was transferred to the head office of the Anglo American Corporation (South Africa) in Johannesburg. Clem spent most of his career in the Gold and Uranium division, serving as Chairman from 1990 to 1996. He was Chairman of the Anglo American Chairman’s Fund which was rated as the ‘premier corporate social responsibility fund in South Africa’. 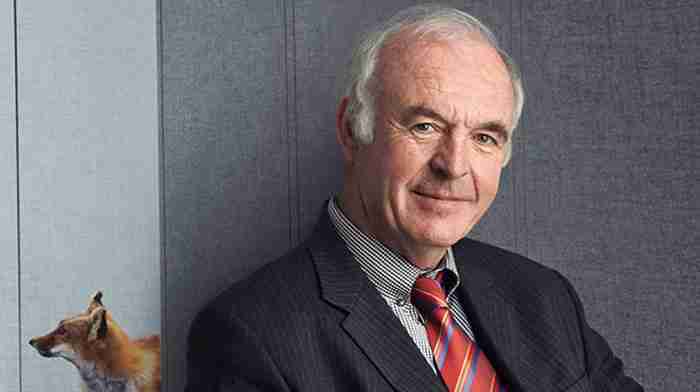 In the early 1980’s, he established a scenario-planning function in Anglo with teams in London and Johannesburg. Two of the members were Pierre Wack and Ted Newland, who had previously headed up the Scenario Planning Department at Royal Dutch Shell. After retiring, the two acted as consultants to Anglo for over a decade. He says: “In South Africa, people are used to uncertainty and we tend to reflect the environment we’re brought up in. The world has grown in the last 50 years and we are in for some turbulent times. This calls for a system that can handle these surprises and that can put them into an operational context. We need to have practical and down-to-earth measures to deal with them”. · Strategy is direction. Tactics are how to get there. · Strategy formulated without first consulting the context will probably end up being bad strategy. · Strategy is as much about ruling in potential paths that fit your scope as ruling out others that don’t. They give you a basic licence to operate in the country/countries where you are located. Of course, these rules can differ from country to country. In addition, descriptive rules include those which describe the long-term forces governing your market or industry in the future. These cover ethics, corporate governance, the environment, health, safety and corporate social investment. These rules should be universal for all countries. These rules will give you the edge to win the game. These are usually few in number but crucial to the sustainability of the business. For example, in the mining industry cost leadership and quality of ore deposits are rules to win, while in many service industries, a rule to win would be the establishment of long-term relationships with clients based on trust and value for money. Clem doesn’t allow the executive team to get up from the table without measurable outcomes. Otherwise, why waste time on a strategic conversation? In this sense, our strategic conversations are very different form the traditional strategic workshops, which can end up in a haze of hot air and are often soon forgotten. What are your internal strengths and weaknesses, and the external opportunities and threats in playing the game? How do you measure up to your rivals in this regard? In what way does your SWOT change as you move around the scenario game board? Most companies already do SWOT analyses, but in Clem’s model it is done in the context of the game after profiling your competitors. What are your strategic and tactical options? (I.e. the things that you can realistically do within your control) to take the negative scenarios as far as possible out of play and thrive in the good ones? How do you get closer to the rules to win? Given a company has finite resources, options need to be prioritised on the basis of importance/urgency, leverage (output to input ratio) and risk versus reward. What are the preferred options that, right now, are ‘go’ and can be turned into decisions and actions? What is the initial action associated with each decision i.e. who is going to do what by when and how much is it going to cost? What options do you want to defer, either because they are lower priority or they will only be triggered by other scenarios coming into play? Clem Sunter–Scenario Planner Keynote Speaker like to end the conversation on an uplifting note; so his final question to each person at the table is simple: What is your personal criterion by which you will judge whether the company has won or lost the game in five years’ time? Different people give different answers. For example, the Human Resources Director may well want the company to be the ‘employer of choice’ in the industry, one to which all smart graduates thinking of joining the field will apply; the Technical Director may want at least three revolutionary breakthroughs in product design so that the company is seen as cutting-edge in the industry; and the CEO generally wants the share price to triple because he or she has more share options than anyone else! Pierre Wack was the recognised master of Scenario Planning during the 1970’s and 1980’s. He used to say that the acid test for a successful scenario exercise was not that it captured an unusual future before it happened; rather it was whether the scenario persuaded the mind-set of the relevant decision-makers and persuaded them to act ahead of time. Clem calls this the ‘Wack Test’. Finally, Clem Sunter – Scenario Planner Keynote Speaker believes that there is a big difference between being a facilitator and acting as a consultant. Self-revelations induced by the Socratic question-and-answer method have a much greater chance of changing people’s minds about the future than ideas introduced by an external agency. 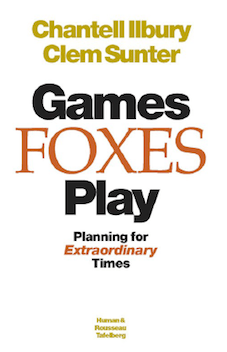 In Games Foxes Play – Planning for Extraordinary Times, the authors challenge the American orthodoxy that only leaders with a fixed, central vision (hedgehogs) can achieve greatness. They argue that leaders with a balanced set of beliefs and the capability of adapting to change (foxes) are more likely to win the game in the extraordinary times we live in. Chantell Ilbury and Clem Sunter have constructed an agenda of ten questions which, if answered fearlessly and honestly by the management of any organisation, will provide them with a clear idea of their future in the ‘game’. Numerous examples from the sessions that the authors have facilitated around the world are given by way of illustration.